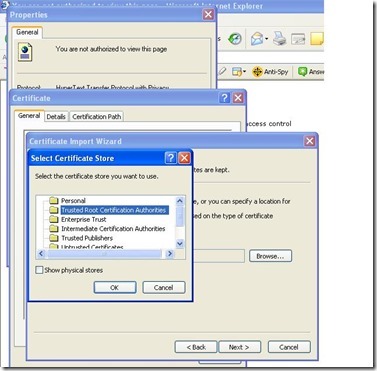 Unless a valid SSL certificate has been purchased for the Exchange server, you will need to install the self-signed certificate in the user’s computer. 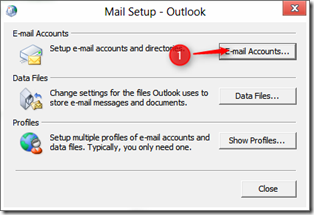 Close Outlook if it’s open. 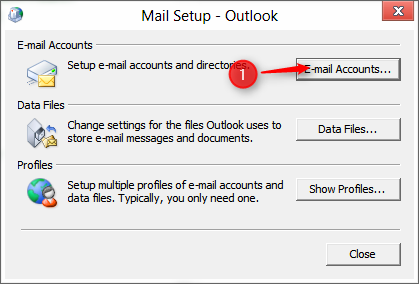 Double-click the Mail icon in the Control Panel to open the Mail Setup window. 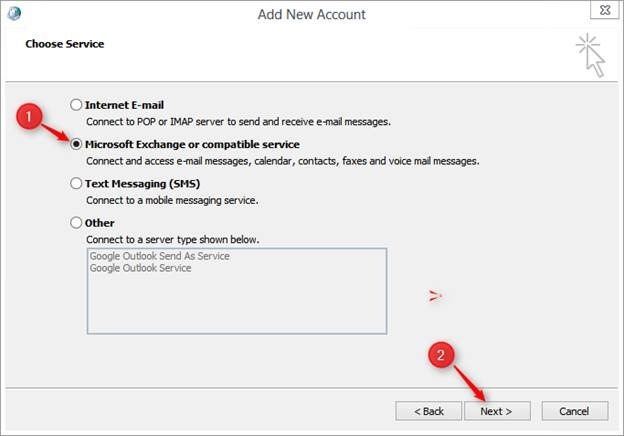 Click New (1) on the E-mail tab. 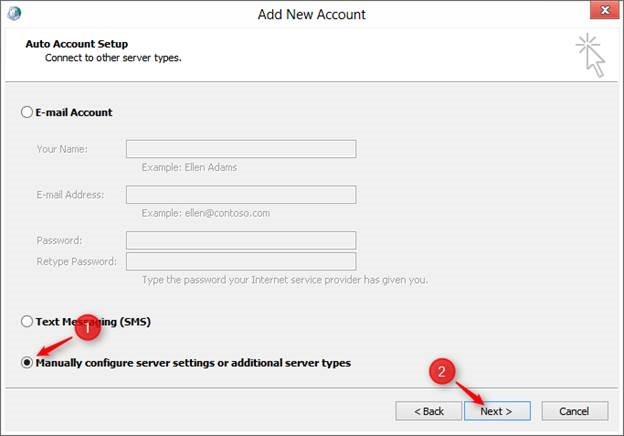 Select Manually configure server settings or additional server types (1). 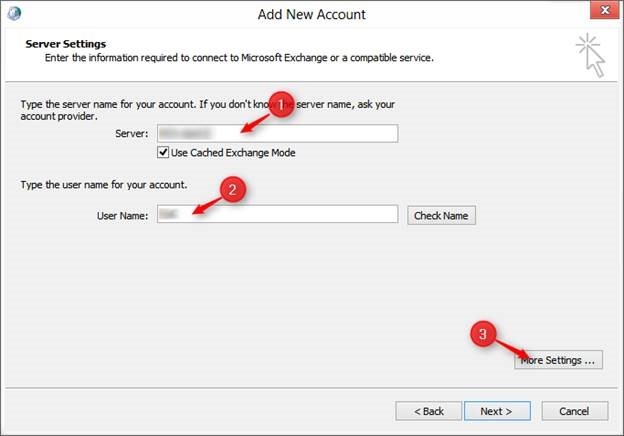 Enter the Server name as FQDN ie servername.domain.local (1) and the username (2). 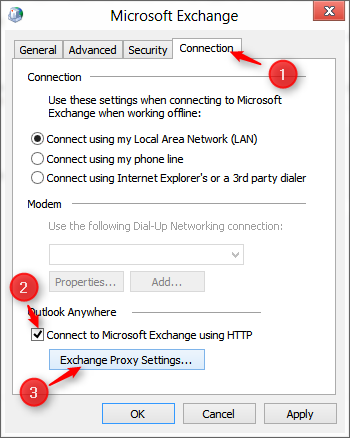 Click the Connection tab (1). 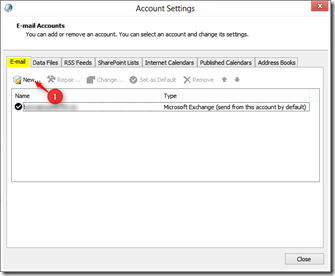 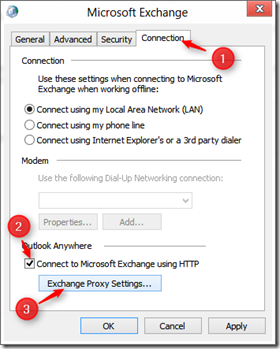 Select Connect to Microsoft Exchange using HTTP (2) under Outlook Anywhere. 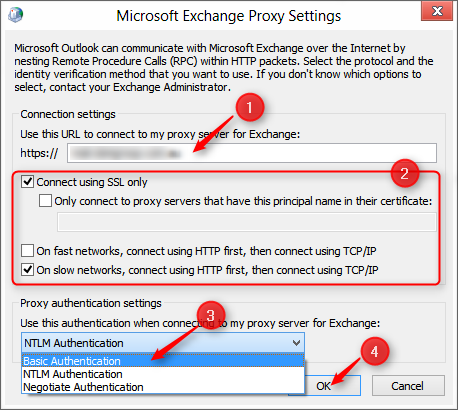 Click Exchange Proxy Settings (3). 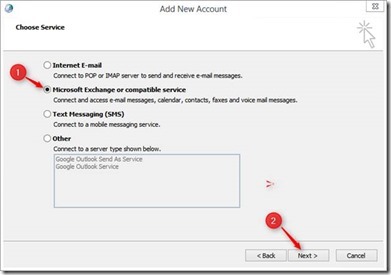 Enter mail.domain.com (1) in the Connection settings field. 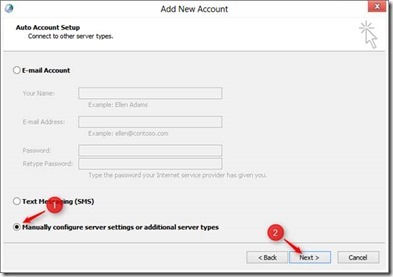 Select On slow networks, connect using HTTP first, then connect using TCP/IP (2). 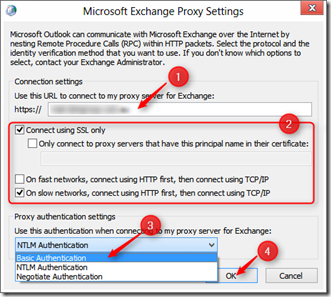 Select Basic Authentication (3) from the pull-down menu under Proxy authentication settings. 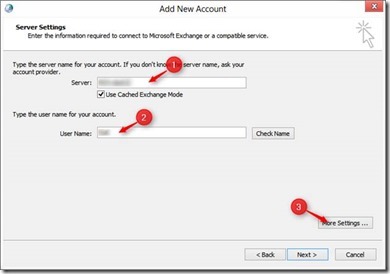 When the user first opens Outlook they will be prompted for their domain credentials. 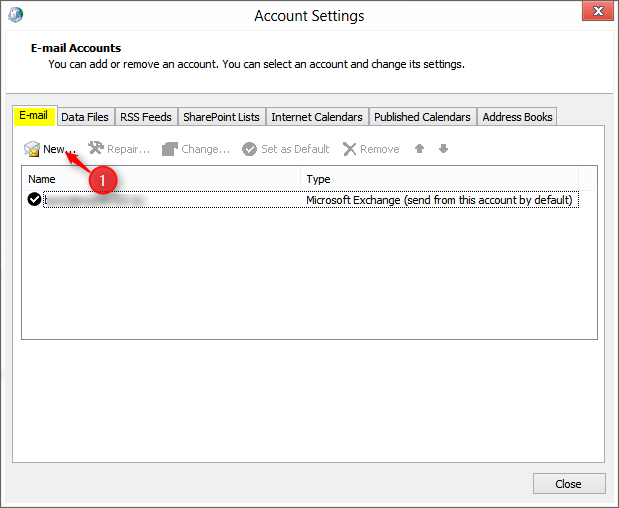 These should be entered in DOMAIN\username format. 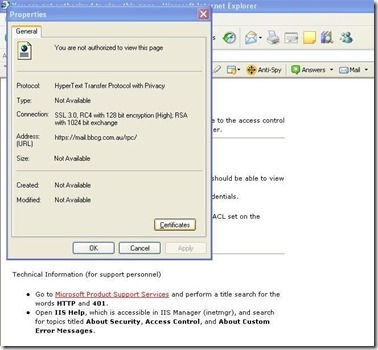 If you have any issue please contact your systems administrator.